Meet Clifford and Emily Elizabeth in the original Clifford book. 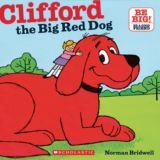 Clifford is big. Clifford is red. But most of all, Clifford knows how to be a good friend. Full color. Your students will relate to this coming-of-age story filled with difficulties at school and at home. 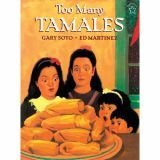 Educators can start their unit on this novel right away with ready-made questions and writing activities. Replace vocabulary words with their synonyms to complete the sentences. Match characters to their descriptions. Evaluate the concept of consequences by brainstorming some other outcomes to the Ramona's behavior. Describe a time when an uncomfortable conversation was necessary in order to 'clear the air'. Record stages of a favorite science experiment in 3 stages. Create a Story Star Maker, detailing the who, what, where, when , why, and how of the story. Aligned to your State Standards and written to Bloom's Taxonomy, additional crossword, word search, comprehension quiz and answer key are also included. Ramona is a typical eight-year-old, but growing up is not easy! For instance, a new fad begins at school where the children whack hard-boiled eggs on their heads before they eat them. Unluckily for Ramona, she accidentally ends up wearing raw egg on her head – this is not her favorite day! She also must deal with the challenges of being with a four-year-old after school, her older sister's moods, her father quitting his job and studying full time, the family car breaking down, and her family's financial troubles. By the end of this entertaining story, Ramona has come to terms with a few things and is just a little bit more mature. Travel to a strange land and find out what it's like to be a piece in a chess game. A variety of question styles ensure students stay engaged with the novel and better enjoy the story. Compare Alice's movements in the mirror world to that of a pawn in the game of chess. Answer a series of multiple choice questions to show comprehension of Alice and the Queen's interaction. Using details gathered throughout the novel, draw a map of the looking-glass world. Become familiar with synonyms by finding words that mean the same as the underlined words found in the text. 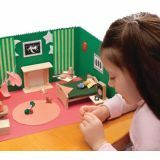 Compare the real world to the looking-glass world by describing events and actions that take place in both. Aligned to your State Standards and written to Bloom's Taxonomy, additional crossword, word search, comprehension quiz and answer key are also included. 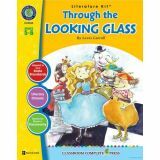 About the Novel: Through the Looking-Glass is a fantastical story about a mirrored world beyond the reflective glass. The story follows Alice six months after her adventures in Wonderland. This time, Alice climbs through the mirror on top of her mantelpiece and finds herself in an alternate world from her own. Alice soon becomes part of a large-scale chess game, where she meets strange and interesting characters through her journey. Traveling the land, Alice meets Tweedledum and Tweedledee, learns of the Walrus and the Carpenter, runs into the Red and White Kings and Queens before being crowned Queen herself. Through the Looking-Glass is a strange tale of chess, strategy, and imagination. A great companion to the Disney movie, Alice Through the Looking Glass with Johnny Depp. 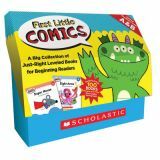 Your students will love these dialogue-driven stories with very easy text in speech balloons. 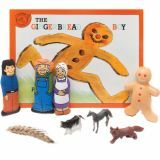 They'll also adore the zany cast of characters: monsters, bears, robots, talking crayons, pirates, pigs, dinosaurs, and more! 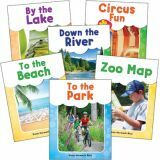 These sets–for guided reading levels A & B and C & D–are packed with just-right books. A giggle-fueled way to motivate every learner! 20 titles in all, 8 pages each. Includes 100 readers (5 each of 20 titles) and a 32-page teaching guide. 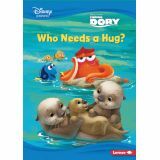 Join Dory and friends as they use teamwork to work together and find their lost otter friend. Caring for others is important! Learn about the importance of caring for others and working together with the cast of Disney's Finding Dory. 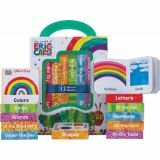 Introduce early readers to everyday words with fun and colorful books! Each book contains 3-5 high-frequency words, based on Fry's First 100 words. New words are coupled with pictures to create sentences and phrases that build early reading skills and confidence. Set of 6 books, 12 pages each. Are you afraid of the big bad wolf? 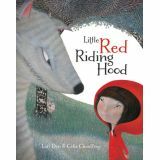 With this retelling of the classing story, kids will experience empathy and courage as they walk in the shoes of a brave Little Red. Finely detailed paintings create an enticing world of quirky characters in a dark and mysterious forest. Includes story CD read by actress Imelda Staunton. Learn the importance of having skills for wilderness survival. Offer students a variety of objective and subjective questions. Get a clear understanding of the setting by comparing 1768 with today. Explore the concept of stereotyping with Matt's interaction with Attean. Students write an alternate ending to the incident with the bear that reflects how they would have reacted in that situation. Match vocabulary words found in the novel with their meanings. Write an editorial for the local newspaper for or against the use of leg traps. Compare Attean's, Matt's and today's society and culture by finding similarities and differences between food, housing and clothing. Aligned to your State Standards, additional crossword, word search, comprehension quiz and answer key are also included. About the Novel: A story of wilderness survival in 18th Century Maine, about a young boy who is caught between two worlds. Shortly after Matt and his father finish building a cabin on their new settlement, Matt finds himself alone in the Maine wilderness with his nearest neighbor several miles away. With his father returning to civilization to get their family, Matt's adventures begin. Matt is stung nearly to death by a swarm of bees, but manages to survive with the help of two local Natives—Attean and his grandfather, Saknis. 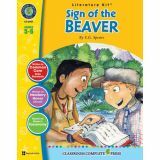 As the summer progresses, the two boys have a number of adventures together, including killing an angry bear. In autumn, Matt is rejoined with his parents just after the snow flies.